Shomron Regional Council head: I call on the Israeli government to stop detaining security elements that are meant to save lives. Yossi Dagan, head of the Shomron Regional Council, on Tuesday evening urged the government to approve the necessary security measures to protect the residents of Judea and Samaria. 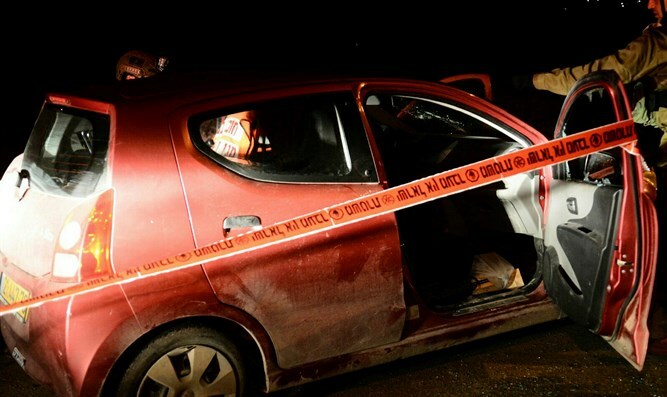 His comments followed the shooting attack near Havat Gilad, in which 35-year-old Rabbi Raziel Shevach, a father of six who served as a volunteer Magen David Adom paramedic, was murdered. “The worst happened tonight. Raziel Shevach was murdered by vile terrorists. He devoted his life to saving lives – while our enemies are occupied with ending lives,” said Dagan. “At this moment I have a difficult statement to make, but it is my duty to say it: Raziel was murdered on a road in which, despite repeated promises, no security cameras had been installed, which if we had them, the vile murderers would have been caught by now,” continued Dagan. “This terrible attack should serve as a huge warning sign. I call on the Israeli government to stop delaying the installment of the security elements for political or diplomatic reasons. Nothing should stand between us and saving lives,” Dagan said. “The residents of Samaria are strong. I want to convey a clear message to our enemies: You will not beat us. We're here to stay. The people of Israel live,” he stressed.